Our team has years of experience and can get you through your permit project. We can work with your professionals or you can use our experienced team. We can handle any project residential, large commercial, variances, and zoning projects. We provide efficient and well done services along with quality customer service for all our clients. 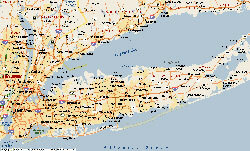 Our company is based in the NY METRO AREA. We offer a FREE consultation and FREE site inspection along with the following types of research & permit. We listen, we care, and we get you results!